Never let it be said that we do not think outside the box to create strategies to help our students learn. In one case, however, we thought inside the box just for the fun part of Live, Laugh, Learn. We have a small refrigerator in our classroom mainly to hold those little half-pint bottles of water. Our students can use the process of getting a bottle of water from the fridge as a way of breaking a mental logjam in a subject or assignment that’s causing their stress to increase. Last August, we had stopped at the Farmers’ Market and bought some blueberries. These were nice blueberries still full of fresh-picked fragrance. 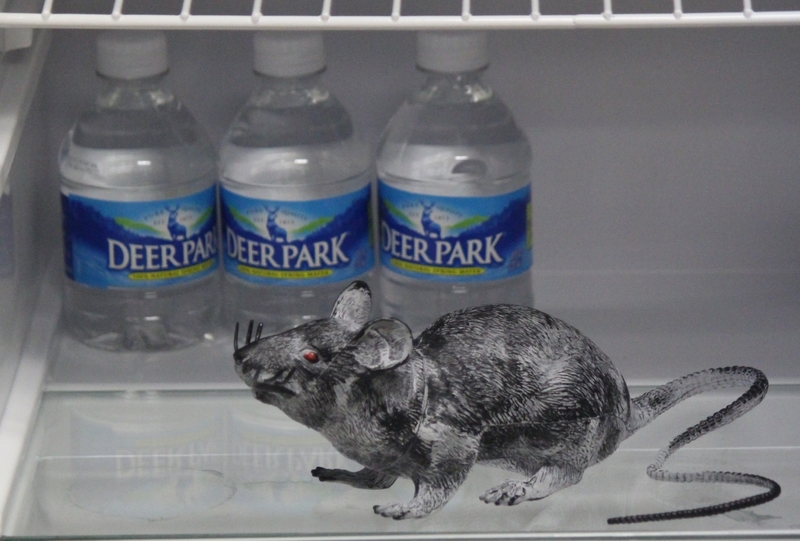 When we got to the office, we put them in the fridge to keep them fresh. Our afternoon student asked to get some water and went to the fridge to get it. Upon opening the door, he proclaimed, “Ewww. It smells like a dead rat in here!” Then, he turns to me and with an enthusiasm second only to Ralphie and his beloved Red Ryder B.B. gun and as only as an eleven-year-old boy can do, says, “You don’t have one, do you?” We assured him that we do not collect dead rats and definitely are not in the practice of storing them in our classroom refrigerator. There, sitting on a shelf was a collection of black, plastic rats that squeaked when you squeezed them. We looked at each other. Serendipity just doesn’t happen like this. It was immediately clear as to what needed to be done. So, the next week when our student went to the fridge, he immediately saw its new occupant. Sitting there for a week had gotten our rat covered in frost so he looked light gray, almost ghost-like. Our student grabbed the rat and had to show it to his mom who had a good laugh because she knew what her son had said the previous week. They also serve to stand and wait. Now, the question is: Should we list Freddy on our Meet the Team page? Give us your thoughts in the Leave a Reply section and click on the Submit Comment button below. Thanks.